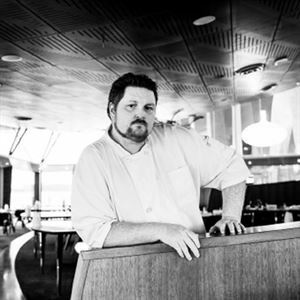 My career as a Chef began in 2008 at the age of 16 at Meadow Springs Golf and Country Club. I was fortunate enough to be under the guidance of two very experienced Chefs who gave me the opportunity to develop my skills quickly. 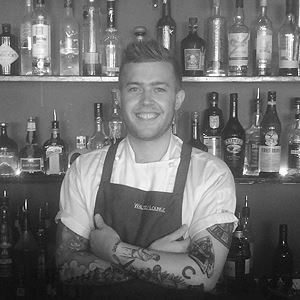 One year into my apprenticeship, when the Head Chef, Glenn Sutton moved to The Stage Door Bar & Brasserie, I followed him and stayed there until I completed my apprenticeship. A couple of years later, I once again worked with Glenn at Rustico Tapas Bar in Rockingham. When Glenn left after four months, a new Head Chef was appointed and I was given the position of Sous Chef in 2013. At the end of that year I had the opportunity to work at the Hamilton Island Yacht Club (Bommie Restaurant) and stayed there for over six months. For family reasons, I returned to Perth and spent most of the year travelling. 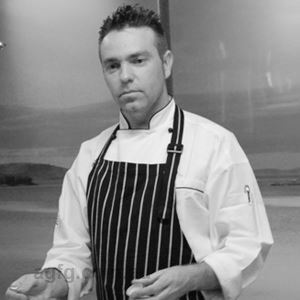 In October 2015, I was offered the position of Head Chef at Walter’s Lounge in Airlie Beach, which I eagerly accepted and I remain in that position to the present day. 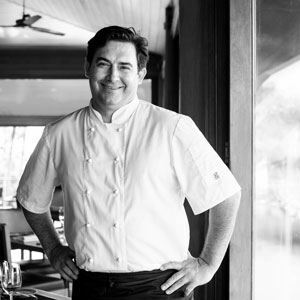 I am all about small plates, a passion which began at Rustico, then grew rapidly once arriving at Hamilton Island Yacht Club. While there, I ran the larder section and created the Amuse Bouche daily and was allowed a great deal of freedom to express myself on the plate. I love being able to present plates to my customers that have multiple flavour combinations - a mix of traditional and innovative techniques. I’m passionate about showing people the beauty in food, whether it’s the culinary skills used to prepare the dish or just the amazing produce I’ve sourced. I feel my style of cooking falls into Modern Australian, always adapting to the climate you’re living in as well as the availability of the local produce. However, many of my methods have stemmed from the French style of cooking that was taught to me during my apprenticeship. At the moment, I’m striving to teach myself more about modern gastronomy, currently spending a lot of spare time reading the Modernist Cuisine to develop my knowledge and skills. Dill. To me, it is a beautiful flavour that pulls most dishes together. When I’m needing something to bring the dish forward, make it slightly lighter and create a fresh, yet natural pepper flavour, dill is what I turn to. I tend to use it as a background flavour with a few of the current dishes on the menu. Perfection, mise en place and structure. I work in a chaotic, yet organised manner and I always give 100% and work towards perfection. My personal success is always based around achieving more than I perceive within my ability. I never feel anything is out of reach with my cooking if I can source the right equipment and ingredients. I’m confident I can accomplish any challenge I set for myself. From the beginning of my apprenticeship, Glenn displayed a lot of faith in my ability as a Chef. He set high standards for me and allowed me to experience everything that would develop my skills as a competent Chef. For years, I had a limited understanding of how important all the little things he taught me were going to enhance my career. He taught me to cook using all my senses and to always taste each of the elements on the plate. Marco’s passion and dedication to the industry is outstanding and an example that I follow. To love what you do as he does, and the way in which he worked in his restaurants is unfortunately quite rare these days. I admire his ability to treat everyone in his kitchens as equals. I’m a firm believer, that in a kitchen, no one is too good to scrub a carrot, peel a potato or do the dishes, and I respect how this understanding is built into his kitchens. In a team, you are only as good as your weakest link. Between the four of us we have over 55 years of experience and are able to work with successful synchronisation. We have previously worked together which makes the friendships between us unique. Working with this team, I am able to take the food down the pathways of my choosing. When receiving positive feedback from our customers, the satisfaction is priceless. Salt is the basis of all aspects of my cooking, from when I purchase my meat. Some of the meats I will place in brine, while others I dry rub. I enjoy curing my own meats and seafood, pickling or preserving items to provide different flavours and outcomes, which can be used months later. This is especially useful when I know items will be out of season. I enjoy cooking with salt in some recipes from the start to provide more depth of seasoning to the element. At other times, I garnish with salt as the dish goes out so that it is finished with a burst of salt. I also use and make a variety of my own salts in the kitchen, as well as using a few different salts from the Olsson Salt company across the menu. Confit pork belly with parsnip, parsley, kohlrabi, capers and watermelon radish. We chose slate for this dish in theme of the paddock to plate, being that all the products on the plate come from the land. This dish, once plated, always attracts a lot of interest from guests. It is plated with the parsnip puree smeared across the slate, dots of parsley gel followed by two squares of pork belly with kohlrabi standing up close and off to the side. The watermelon radish is then sliced and placed randomly around or against the pork along with the fried capers and chervil to finish in opposite directions vertically. The squares of pressed, confit pork belly are crackled to order. The parsley gel tends to cut through the fat of the pork belly with a freshness almost like a green juice. The pickled kohlrabi is tangy but sweet with a firm texture coming into the dish. The fried capers have a beautiful salt level, as well as being crunchy on the palate when combined with the pork crackle. The watermelon radish is a fresh, spicy element that pulls the parsley and parsnip together to gel with the pork belly. I would have to say the dish above. For me, pig is one of the best meats, especially the belly, where you get that tender meat, juicy fat and crunchy crackle, I love it! This dish came about in late April (2016), after a few weeks of trial and error with flavour combinations I had not worked with before. I wanted something earthy, yet still refreshing to match our climate in Northern Queensland. We already had confit pork belly on, which was a good start, but I just felt it needed something new. Parsnip puree, made with lactose free milk to give that creamy texture to help cut through the fat, yet still be dairy free to suit a vast range of our clientele was a beautiful match for the parsley gel, which was inspired by making a green juice one morning at work. Pickled kohlrabi had been a thought from the start, also with the fresh radish, just the kick those elements need to bring a meat with a high fat content, combine seamlessly. Fried capers add that salt, crunchy texture to the dish. These flavours, all being a new combination for me, have really made a hit in Walter’s, it’s the 3rd course on our tasting menu.